As I see it US military planners currently have a bit of a problem. Even as budgets shoot down following the end of operations in Afghanistan and Iraq, they have to start looking at the ‘what if’ scenarios for the next 20 years in order to ensure that they have the capabilities needed when their political masters next call on them to defend US interests. The assumption is the next major conflict to involve the US will be in that timeframe as for the last century at least the US has deployed its military might in major operations with that relative frequency. 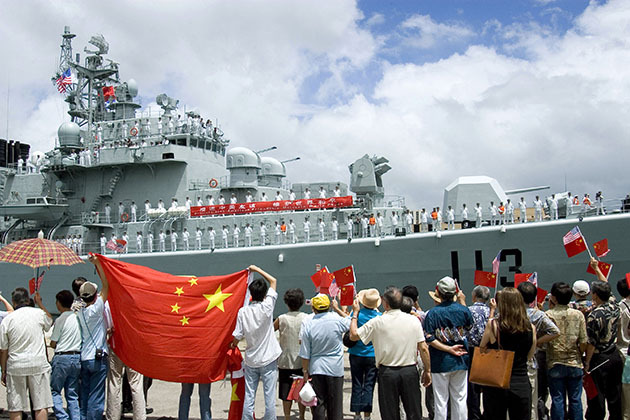 Looming large in those ‘what ifs’ is the rise of China and whether its current assertiveness in its region could become a major problem for the US and its regional allies despite the interconnected nature of their economies. However, in public forums US military planners hardly ever use the ‘C word’ as if it’s some dirty little secret that can’t be shared outside the family. In some cases this can get to a certain level of absurdity. I remember being at one briefing on UCAS-D when a military official was explaining the benefits an unmanned naval bomber would bring to the fleet. In explaining the range and stand-off capability one slide showed an unnamed coastline with range indicators of how far off the coast a US carrier group could be and still be effective. Despite the insistence of the briefer to the contrary it was the Chinese coastline turned through 90 degrees and helpfully given the OpFor traditional colour of red. The reluctance to refer to China seems to have almost reached the limits of some form of inverted Tourette’s Syndrome where the mere use of the word causes speakers to swoon. China’s bristliness is probably a large part of the reason why this is the case, but you have to wonder if it runs deeper and what damage this could be doing in preventing the military explaining what it needs to the public and to politicians in order to ensure the right funds are funnelled to the right projects. The dangers of this were clear at the Surface Navy Association’s annual jamboree in Washington, DC this week. US surface forces are in some amount of structural disarray having concentrated on a certain mission set, largely the projection of air power, since the end of the Cold War. 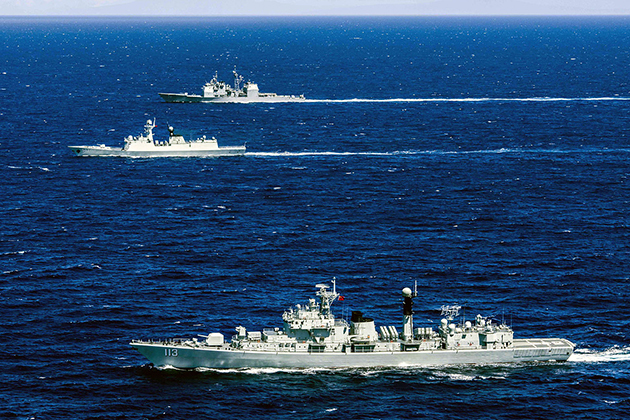 China’s naval rise is forcing planners to look at the potential of large scale surface operations for the first time since the end of the Cold War and the loss of the Soviet navy as a peer competitor. The speakers articulated a vision in which the US Navy needs to be prepared for large scale surface engagements (well it was the Surface Navy Association) but sometimes the reasons for needing longer range ship-to-ship missiles became lost without being able to point directly to the threat they need to counter. Don’t get me wrong, there are some in academic and political circles that obsess about the potential threat that China represents, but they are often outliers, and policymakers and the public in the US usually have more immediate concerns than what may, or may not, be happening in the South China Sea. However, to paraphrase, without being able to say ‘it’s the Chinese stupid’, military planners lose an important weapon in being able to justify the level of preparedness they obviously think is necessary. Privately they might be able to say we’re concerned about the threat a more assertive China may represent, but without being able to use the ‘C word’ in the public square then it is going to be difficult to argue for the resources needed when people are more concerned about their weekly grocery bill.